I’m gonna go ahead and remove all the hit or miss suspense from this black bean salsa recipe. It’s a 5 star hit with my family and we’ve been making it for several years. The reason I’m including it in my hit or miss series is because it’s Paula Dean’s recipe and I have to give credit where credit is due! 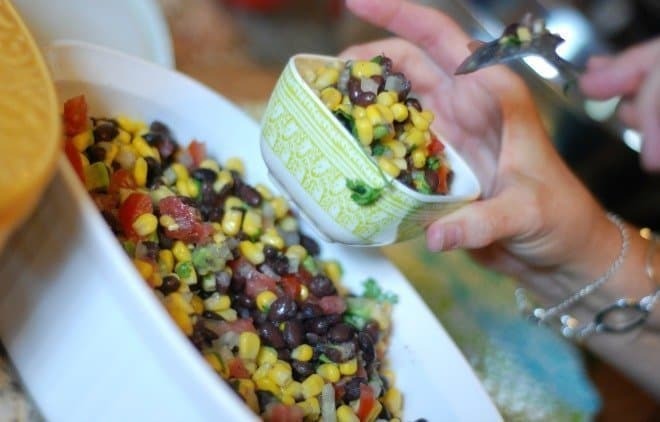 This black bean salsa made it’s debut into my recipe repertoire when my youngest daughter found it online and decided to make it then and there. It was love at first bite! First of all, it’s the easiest thing ever to throw together. If you have a can opener, a knife and a great big bowl, you can make this salsa. Here’s a picture of me getting the salsa ready for it’s photo shoot! Helpful Hints: The recipe makes a huge bowl full of salsa, but it’s so easy to only make half. You can also keep it in the fridge for several days because the longer the ingredients do the tango, the better they get. I’m crazy for black beans, cilantro, corn and avocado, so, of course, I’m crazy for this salsa. You can serve it with tortilla chips for dipping, but I also use it as a topping for salad greens, along with lemon cilantro dressing. Madaline recently posted…In their clothes. Yes, absolutely leave out the cilantro! My mom hates cilantro. I love cilantro and tend to go overboard with it. Yum!! I’m going to have to try this! I love Paula! It’s so easy to throw together! The colors are just gorgeous. Thanks, Skye! It’s really good! Looks delicious! I’ll have to add this to my recipes to try! Thank You! This looks amazing! And I have to agree with Madaline, it does look like the stuff from Chipotle! Thank you for sharing the recipe with us, I’m pinning it and saving it for later! Also, I host a weekly link party on my blog and would love if you’d link up your recipe with us! I’ll stop by! Thanks for the invite. I love your blog, Alli. I truly enjoy visiting. Thank you for all that you share with the world. This looks SO good, by the way! And I love yours, too, Shirley! The black bean and corn mix is what got me!!! I am not kidding when I say this…. You know the motto… ‘once you go black.. you never go back’? Well, it is true! I used to gag over the thought of a black bean but now I freaking love them and get excited with the flavor they provide! So show me a recipe with black beans and I am all over that! 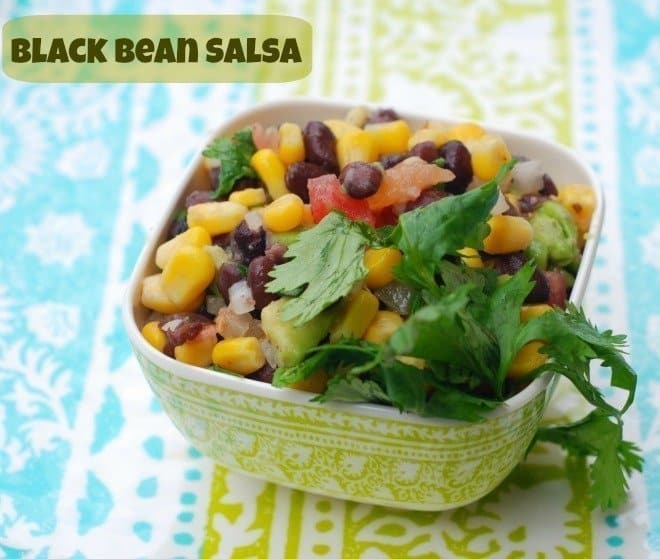 I’m a black bean lover for real! I eat my black bean chili year round. I know that is good! I make a Black-eye pea salsa which is very similar. I got the recipe from the Ga. Farm Bureau. I made it this passed weekend for a family dinner. We talked about using black beans instead of the peas. Either way would be super yummy. People can never get enough! Pinning! You had me at corn! So want to make this! I bet you have some great recipes! Black beans are my favorite beans. I think it’s so pretty! I’m not a huge fan of black beans, so I’m not sure if I would like it or not, but I’d give it a try!